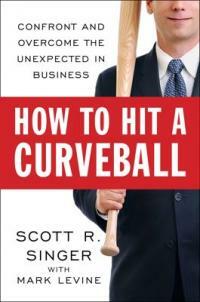 With the book How to Hit a Curveball by Scott R. Singer, you can go from spring training through extra innings and come out on top, no matter what they throw at you. There is no avoiding the occasional curveball as a business person. The trick is learning how to hit them out of the park. In his book, author and businessman Scott R. Singer shares his personal story of setbacks and triumphs while explaining how to use setbacks as opportunities for growth, professionally and personally. More than just a business book, How to Hit a Curveball is a great personal guide to tackling life's obstacles and becoming stronger in the process. In the following interview, Scott tells how to make the most of the curveballs that life continues to throw. LoveToKnow (LTK): What is your background in business and how did it inspire this book? 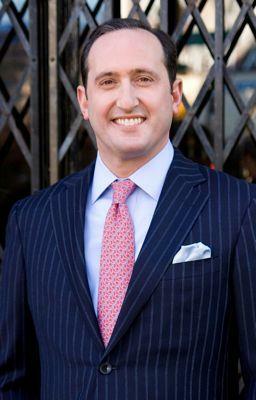 Scott Singer (SS): I'm Managing Director and Head of Media & Entertainment at The Bank Street Group. I bring to my current job more than 20 years of experience in investment banking and strategy consulting, having worked at BMO Capital Markets, Deloitte and Bear Stearns. Working as an investment banker and consultant in NYC specializing in fields that have been on the cutting edge of change for the past decade, I've experienced dramatic and unpredictable events first hand. Because of what I do for a living, I've been thrown more curveballs than most. LTK: How would you define a business "curveball? SS: I define a curveball as any unexpected or unanticipated event. It's something you didn't see coming that leaves you, at least momentarily, unsure of what to do and how to react. It could be getting fired when you think you're doing a great job, or having a major client pull its business without warning. LTK: Can any business person learn to effectively hit those curveballs? SS: Absolutely. While there are people who are born with the ability to deal with unexpected change, all of us can learn how to hit curveballs. That's because it's really a process, not an innate ability. Once you learn the steps required to deal with unexpected change, you can become as skilled a curveball hitter as someone born with the ability. LTK: What is your method of learning to see the opportunities that adversities present? SS: You need to try to see things from a different perspective. Put yourself in the place of a competitor; how would you try to take advantage of the situation. Many times we're better at helping others than at helping ourselves. So try to think of yourself as a different person, even to the extent of giving yourself another name. Then, give this new persona advice and guidance. LTK: Can you give a few examples of business people who have done this successfully? SS: Louis Gerstner took the helm at IBM when its hardware business was suffering. But he saw there was a need for a company that helped others make sense of confusing technology. Rather than trying to revive the hardware business, he repositioned IBM as a company focused on software and services solutions, not hardware. Art Fry and Spencer Silver at 3M took an adhesive that, while having weak adhesion, lasted a long time. Together they took what was seen as a failed product and turned it into an incredible success by turning it into the basis of Post It Notes, which have become a fixture in the American workplace. LTK: It is noteworthy that this book is not just about approaching obstacles in business, but a roadmap to handling adversity in life. Is that intentional? Have your methods improved your personal life as well as your business life? SS: You bet. Early on I realized the same process I was using to help deal with unexpected changes in business could help me deal with unexpected changes in my personal life. The same approach that helped me deal with losing a job also helped me deal with the breakup of my marriage. I feel that I'm not just better prepared now to deal with the unexpected in business, but to deal with all the curveballs we're thrown in the course of our daily lives; from dealing with a blackout to facing unexpected illnesses. LTK: What do you most want to accomplish with your book? SS: I want to help people avoid the mistakes I made when I lost my job at Bear Stearns years ago. I did everything wrong: I didn't reach out for help, I projected desperation, I overreacted. Because I didn't know how to deal with a curveball, I set myself back and hurt not just my career, but my family in the process. If I can help one person avoid the traps I fell into I'll feel like all the work involved in writing the book was worth it. LTK: What advice can you give business people today who may be struggling? SS: Realize that you are not your job. I value my career and work as much as anyone, but I've learned that I'm more than what I do for a living. To quote the therapeutical cliché: you are a human being, not a human doing. If you need to take a step back financially, or shift career paths, so be it. We grow as human beings by dealing with adversity, not success. LTK: What else would you like to add? SS: I think it's important to accept that there are things beyond our control. No matter how good you are at what you do, no matter how hard you work, circumstances may conspire to throw you a dangerous curveball. But you can be confident in that the universe is not the master of you. You are in charge of your response to the unexpected. You are in control of how you deal with surprises. You are the one who can turn crises into opportunities. You can learn to handle the unexpected and come out shining, whether it be in business or your personal life. How to Hit a Curveball is a common sense approach to stepping up to the plate and hitting a home run with every pitch. LoveToKnow would like to thank Scott R. Singer for taking the time for this interview.